Vicki Gunvalson likes to have a group of minions at her disposal. 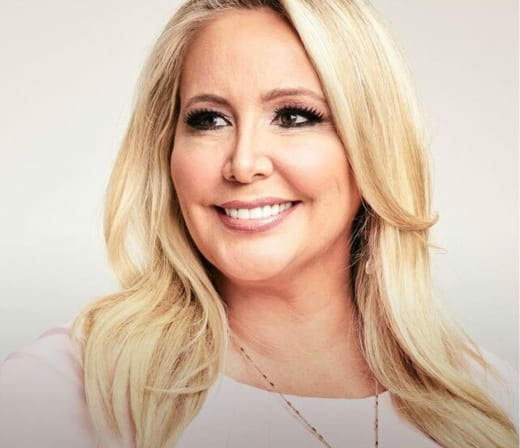 That much was confirmed on The Real Housewives of Orange County Season 12 Episode 8 when the veteran cast member found out that Kelly was hanging around with her enemies. When the episode got underway, the ladies were preparing for the Spartan Race, which is a five-mile obstacle course that will push the ladies to their limits. All of the couples wanted to be present at the event, but that was not to say they were all going to get on. With Bravo’s TV cameras at the event, would we have it any other way? It seemed like Shannon was having some issues with her husband because he did not want to spend much time with the family. Instead, he had been spending every waking moment doing some exercise. But it was not all doom and gloom for Shannon. Remember how she was adamant she wanted to lose some weight? She lost four pounds, and that’s a big achievement when you just start losing weight. Shannon’s newfound confidence found her trying to get involved in all of the drama with Peggy and Tamra, and it did not go well. When Peggy was cornered at lunch, Shannon tried to imply that she knew nothing about the situation and should probably keep her mouth shut. Peggy, however, decided to hit the ladies where it hurt and started speaking positively about Vicki. As you are probably well aware, Vicki has been on the outs with them for years. Peggy then switched gears and spoke breast cancer, and Shannon seemed genuinely intrigued to hear Peggy’s story. Maybe they will not agree on who they should be feuding with, but at least they can still be civil to each other. But then things took a turn when the Brooks situation was brought up, and Peggy was not amused. She essentially said that Shannon holds a lot of hate in her heart and should learn to love. When Peggy learned that Tamra was not pleased with her for inserting herself into the drama, she decided to meet up with her for lunch and to chat about their issues. Peggy blamed everything on Tamra, and Tamra was surprisingly okay with taking the blame. Maybe she did not want another big feud amongst the ladies. Elsewhere, Vicki opened up to Briana about how awkward things are with Tamra and Shannon. Does she want to put the past behind her and move on with her life? This is Vicki, so we think not. The Spartan Race was actually one of the most pointless five minutes to fill an episode. The main takeaway was that Tamra was not as fit as she wanted everyone to believe. She was legit on the floor barfing. Later, Shannon, Kelly, and Meghan meet up for some drinks, and they all get on like a house on fire. They air their thoughts, and they all realized they could co-exist in the series with one another. But what about Vicki? Is she being left out in the cold? Look for her to cause the mother of all fights next week when she learns that Kelly is so over her. Donald Trump: Arnold Schwarzenegger Didn’t Quit, He Was FIRED! Tyler Baltierra: Catelynn Lowell’s Mental Illness is Not My Fault! Next story Siesta Key Season 1 Episode 5 Recap: Who Broke Up?